Renovating your apartment or house isn’t just about increasing the value of your property, it’s about improving your atmosphere, mood and the quality of your life. With thoughtful consideration about how you actually live in your home, we can help you redesign your kitchen, bathroom, family room, master bedroom or entire home. If you work at home you may need a private area with utility space with customized workspace counters, shelving and lighting so you can work more efficiently. 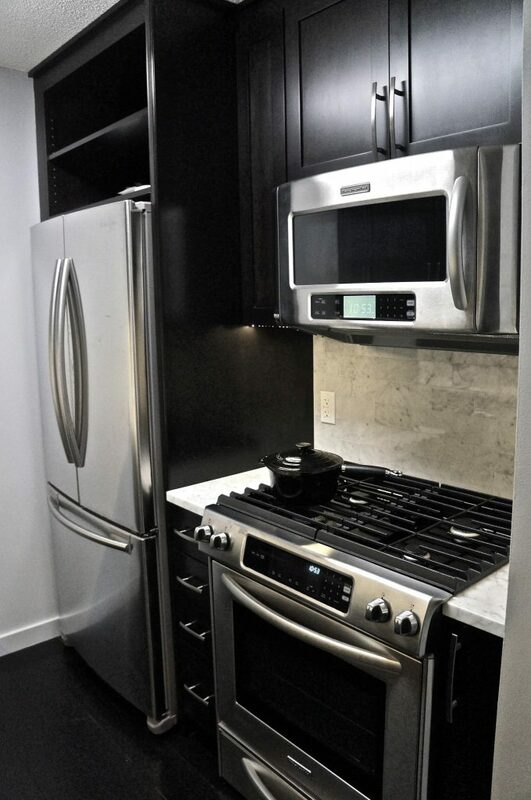 If cooking is your passion, we can steer you toward the best configuration, most efficient appliances, task-friendly countertops, customized cabinetry, proper flooring and backsplash. 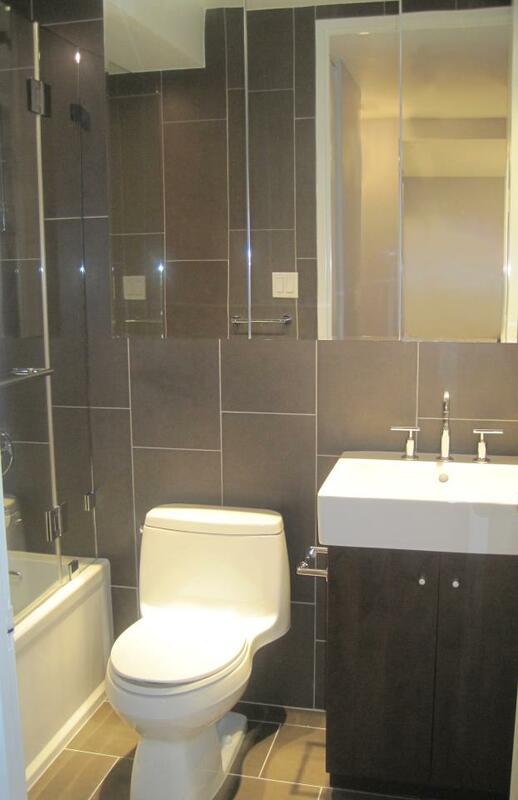 Bathroom design is overlooked. Considering most people spend a good deal of time grooming with various products, ample bathroom storage, lighting and bathroom fixtures are important decisions. Problems with space and stationary elements can sometimes present challenges for a home remodeling project but we can typically find a solution to most any problem. Attending to design details means keeping up with evolving home trends each year. We’ll help you consider new and fresh colors, materials, shapes and patterns for functionality and style. Whether you’re looking for a renovation that’s contemporary, feminine or masculine themed, globally inspired, traditional or casual with sustainable materials we can work with you through every step. Above Remodeling goes above and beyond to ensure that every construction project – small or large – is completed within the time frame and budget that works for our clients. We specialize in New York City apartment renovations, but we’re also pros when it comes to urban and suburban house renovations. From consultation and budgeting to scheduling and material acquisition to filing of permits and licenses, Above Remodeling handles all aspects of your project. The BuilderTrend feature on our website is designed to keep you up-to-date as we work on your renovation. 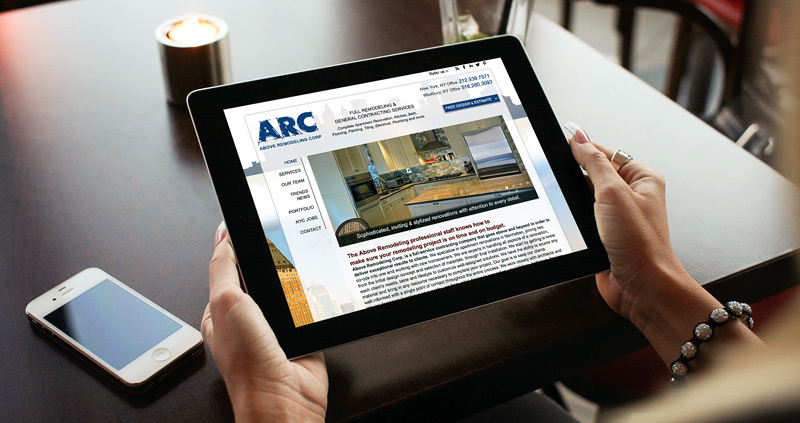 Our website site also on our latest projects, team news and the newest trends in remodeling and renovation. Visit AboveRemodeling on social media to see renovation styles, and closeup photos of interior details and finishes that make all the difference. Contact us with any questions about your upcoming project or to arrange a consultation and estimate. If you’re looking for a contractor with experience in full home and apartment renovation and remodeling services in the New York City boroughs of Manhattan and Queens, look to Above Remodeling. Specializing in an all-in-one approach to home contracting, we coordinate and supervise every aspect of a remodeling project. From initial consultation, design, and the permit process, to material selection, construction, and post-job cleanup, our full-service approach offers complete convenience. The Above Remodeling team enables you to remain focused on your busy schedule and life while we manage and oversee the renovation of your home. You can access daily updates and photos for your remodeling project via easy access to BuilderTrend via our website so you can track progress from wherever you are. Whether we are performing a full apartment or home renovation or just a kitchen or bathroom remodeling project, every home improvement job we stay on task and work to achieve your goals. To ensure that all work proceeds according to plan, each Above Remodeling remodeling project is led by our team consisting of skilled, talented and experienced designers, construction supervisors and project managers. All construction is performed by skilled tradespersons. 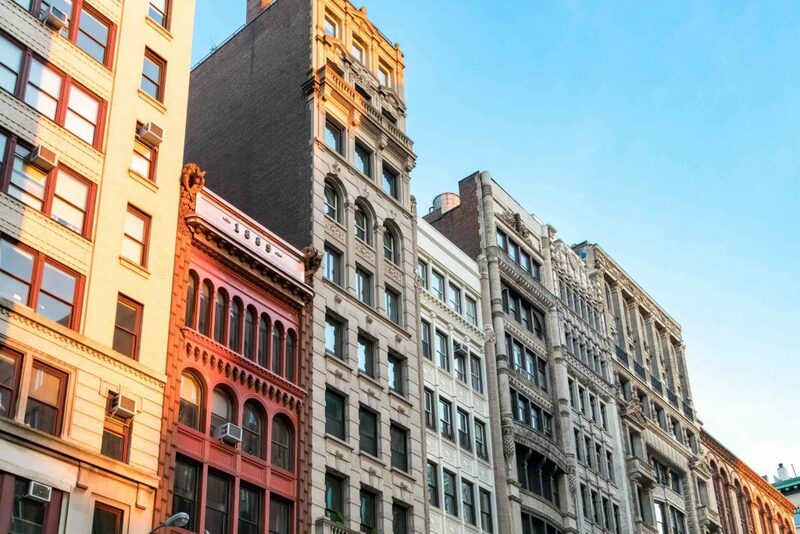 All of these individuals have extensive experience working on home and apartment (both co-op and condo) renovation projects throughout Manhattan, Queens, Brooklyn and Long Island. Rest assured your remodeling project will be in the hands of highly qualified, fully licensed and insured professionals. We help to make your remodeling vision a reality. Contact us to get started. 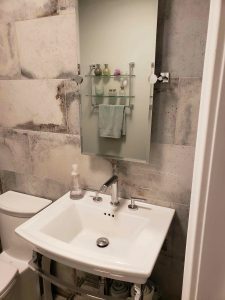 If you are getting ready to upgrade to a stylish and modern bathroom renovation in your home, there are many approaches ranging from a full bathroom remodel to simply upgrading existing items. 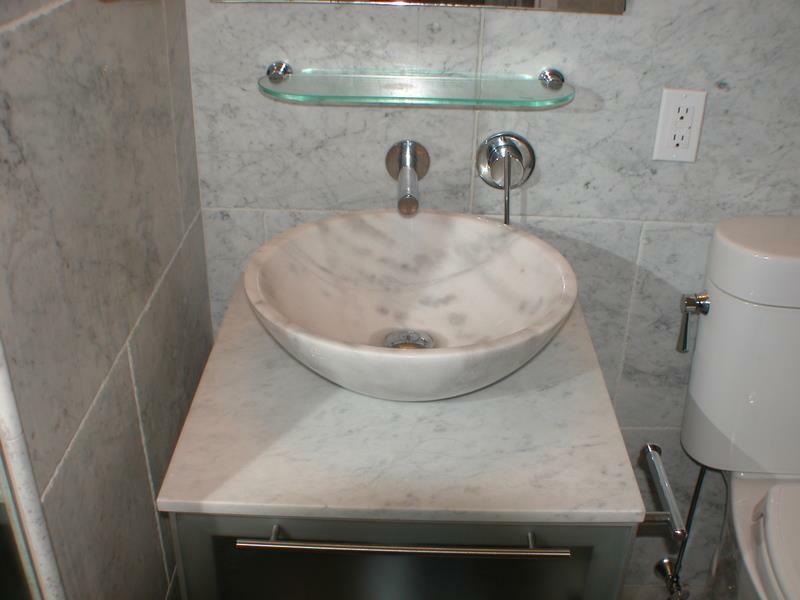 From Italian tile, to sleek cabinetry and bathroom hardware, we can work with you to make your vision come to life. 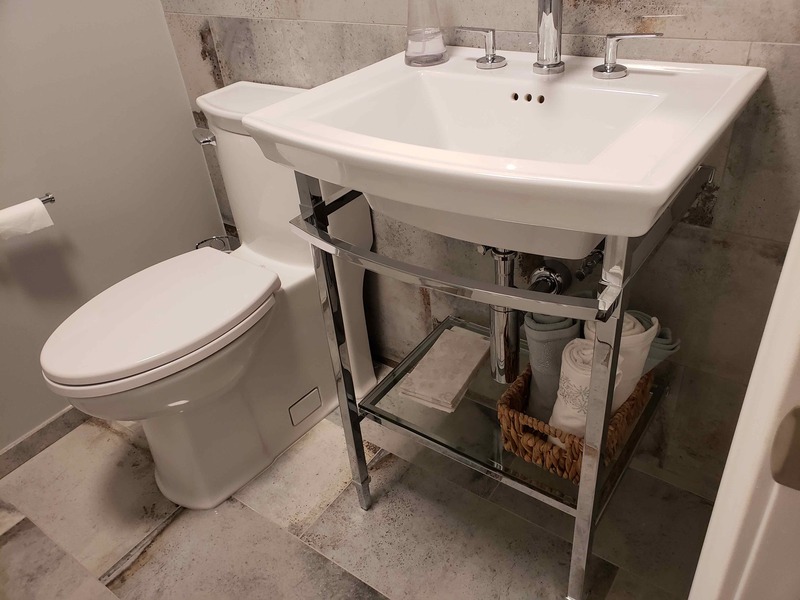 These upgrades include changing hardware such as replacing fixtures, or even changing tile, wallpaper and paint. If changing the existing hardware and appliances isn’t enough to breathe new life into your bathroom, a popular option for homeowners is to remodel existing elements. If you are looking for a simple visual improvement and impact, a remodel of the flooring can do the job and change the entire theme. If you are looking for a more functional change, replacing an old toilet, dated hardware and dysfunctional cabinets may be in order. These changes can improved utility and add a lot of serviceable space a big consideration – for apartment dwellers. For most people, a fresh and modern bathroom can change your entire outlook on life. Contact us for an estimate. If your kitchen is multi purpose and serves as your bill paying space, work and project space, and family dining area, counter space may be extremely precious to you. 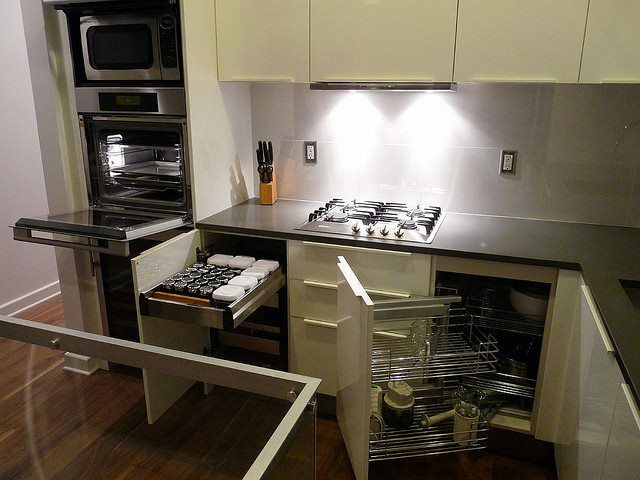 Do you need flat service space for prep work for various tasks, aside from cooking? Customized peninsulas or kitchen islands can be useful extensions to existing counter space and really max out surface area. Many smaller appliances today are just as functional as bigger models. Bigger isn’t always better when it comes to dishwashers, wall ovens and refrigerators, as long as they are designed well. Bigger appliances may mean you need to sacrifice counter space. So if you cook and entertain often, bigger appliances may work better for you. If not, go smaller and grab the extra counter space. Vertical design and cabinets that go as high as possible will allow you to totally maximize your storage space. Utilize recessed spaces, drawer organizers, pull out racks and open shelving for easy access. With so many choices available, the most important consideration when it comes to lightning is practicality and how you plan to use the space. But that said if style and statement are your big concerns then shiny metallics – brass, copper, rose gold or silver can crate a modern pop. Gold finishes will add warmth, groupings of different height will add architectural interest, simple clear globes can create an illusion of height. A pop of color in an otherwise neutral space can be a real mood changer. For a glamorous look a crystal or ornamental chandelier can be just the right touch. Color can be a real game changer for small space kitchens, Whether on walls, cabinets, floors or backsplash tile, simple or bold color combinations can make a kitchen area look more opened up and be a reflection of your personal style at the same time. Never underestimate how color can help improve the flow and function of kitchen space. Contact Above Remodeling for a free estimate and to get started on your kitchen project.